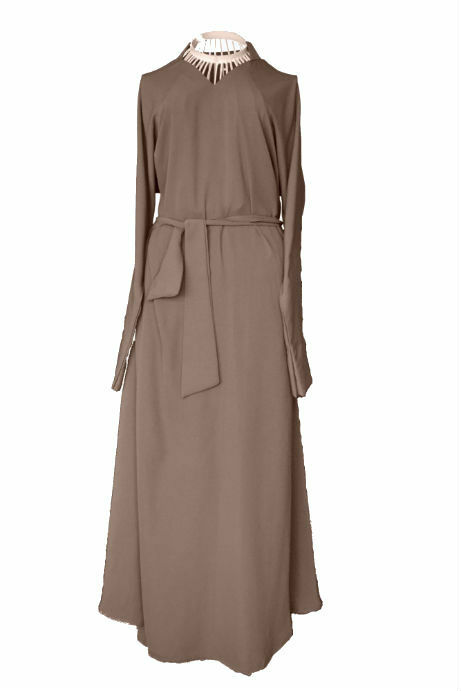 Taupe- a soft blend of grey and brown is a popular colour this season and has become a high-street favourite. 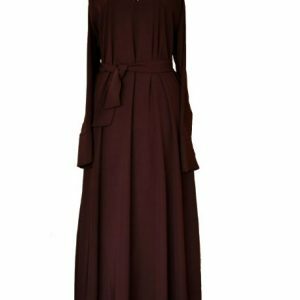 Keeping in line with our range of sophisticated umbrella cuts and elegant colours, this abaya provides a perfect foundation to your daily wardrobe. 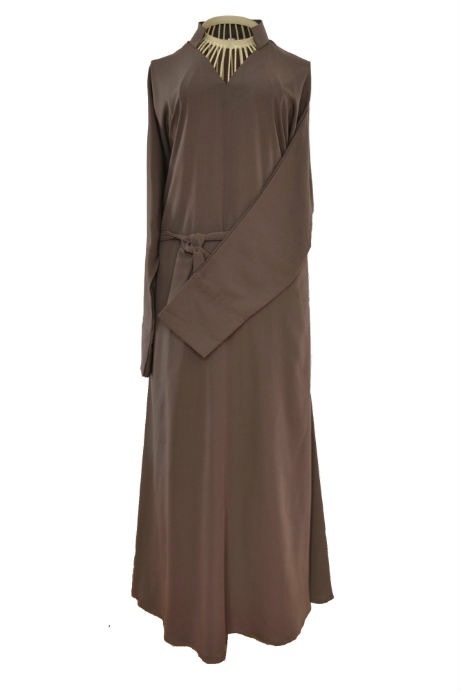 A neutral colour that can be styled in many ways. 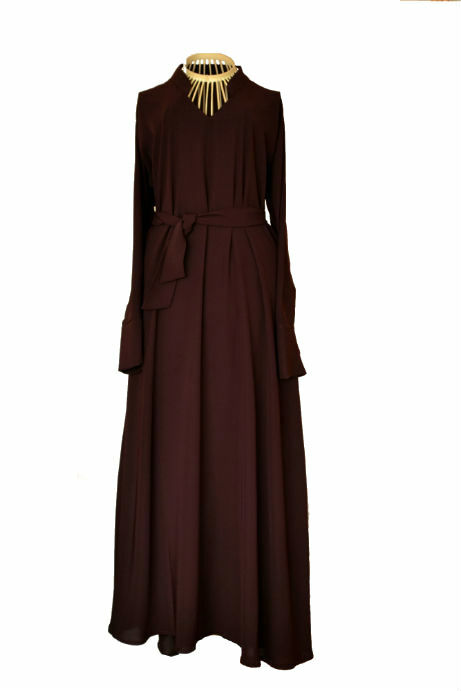 For a classy feminine look, pair this beautiful abaya with gold and accent colours. 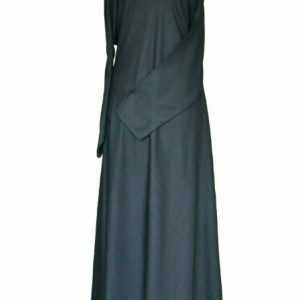 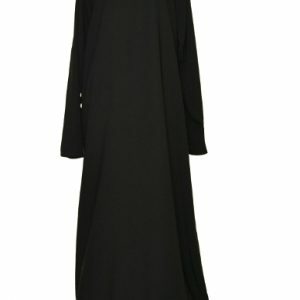 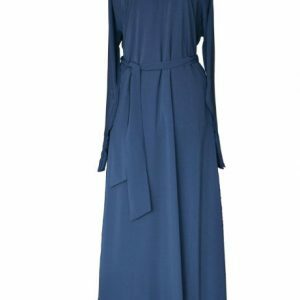 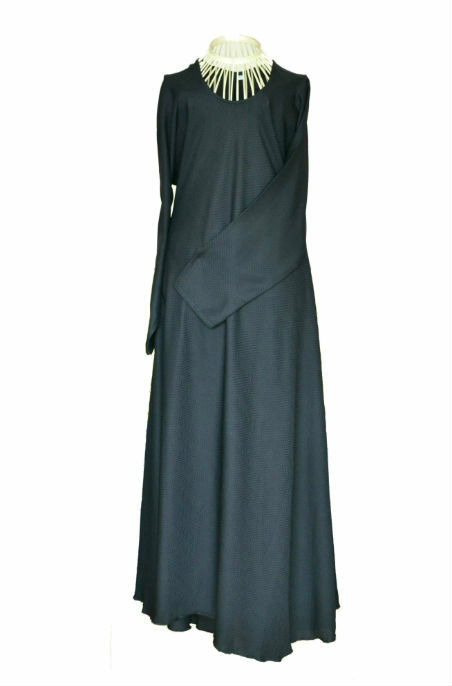 Like all our other abayas, this abaya exudes class and practicality. 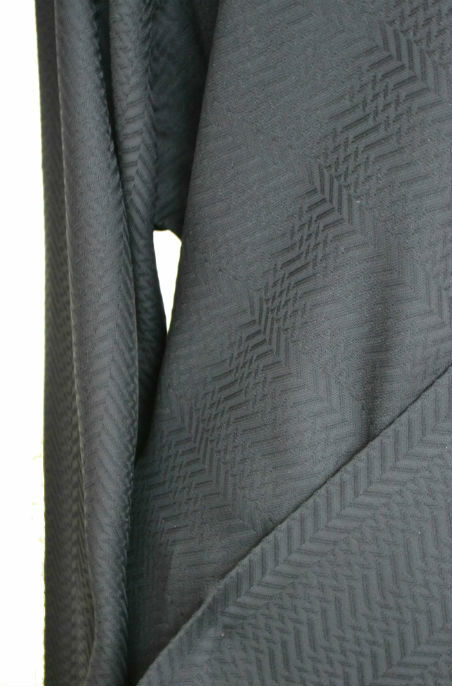 The soft light flowing material is ideal for spring/summer. 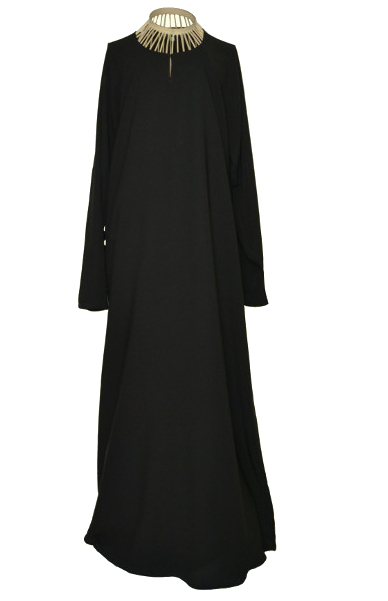 The high v neck is designed to give this abaya a pop of sophistication whilst a tie back offers a delicate touch. 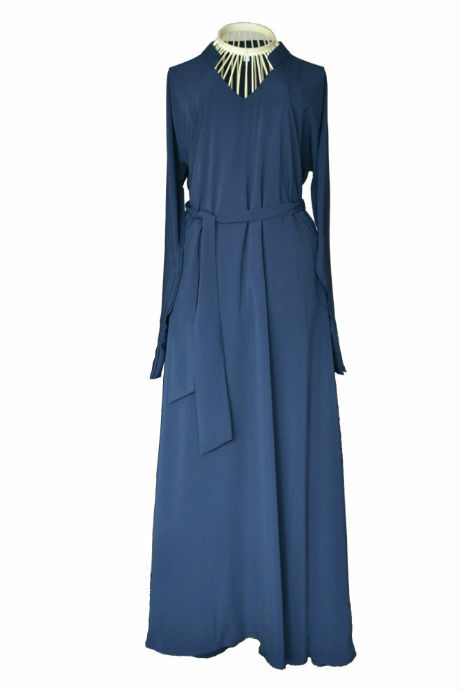 Long straight sleeves, minimal detail, effortlessly chic.